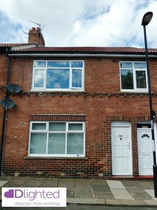 If you are looking to rent a property in Byker, it is an inner city residential with area within Newcastle upon Tyne . It is located immediately to the east of the city centre on the north side of the river Tyne. It has its own Metro station (Byker) and the Shields Road area is serviced by multiple bus routes . Until the 1960s, Byker was a Victorian working-class area of densely-built terraces much in need of repair. Today, thanks to a rolling programme of demolition and rebuilding, Byker has been transformed into a modern residential area. There is a wide selection of properties to let in Byker, many of which were designed with the help of local residents. If you are looking for a family home to rent in Byker you will be pleased to know that the area has three primary schools, St. Lawrence RC Primary School 'Welbeck Primary School' and Byker Primary School, which is equipped with a nursery class. If you need to be close to modern leisure and shopping facilities, you should consider properties to rent in the Shields Road area of Byker.